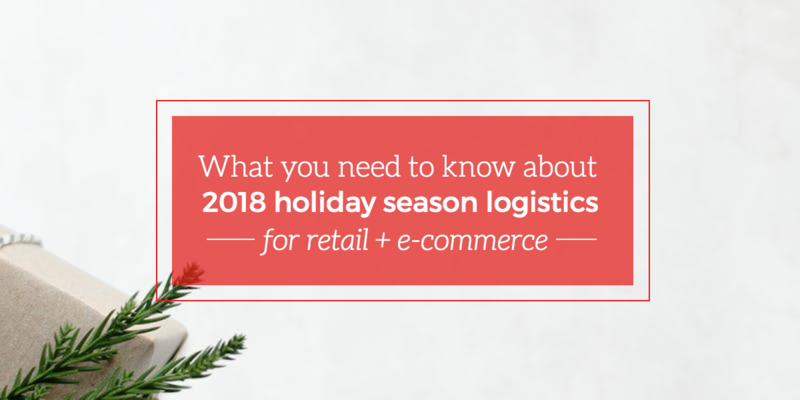 Because of the sheer volume of transactions and shipments taking place, the holiday season amplifies otherwise-manageable logistics challenges for retailers. One of these persistent pain points is last-mile delivery. Not only is this piece of the transportation puzzle costly and complicated, it’s also crucial for customer satisfaction. Getting items from a local distribution center to a customer’s front door on time is always important, but most especially in the narrow window of the holiday gift-giving season. Another challenge that comes to the forefront around the holidays (and through to January) is how retailers can handle an increasing number of returns. A smooth and seamless return process can be a huge asset for customer loyalty, so it’s important for companies to have a strong reverse logistics plan in place before the holidays. For both of these issues, there are some intriguing possibilities on the horizon. Tech and retail giants have been experimenting with using drones and autonomous vehicles to meet the growing demand for affordable and dependable final-mile delivery. Solutions that require minor effort from customers, (e.g. returning items to Amazon Lockers or Happy Returns locations) have also shown promise in the reverse logistics space. For the foreseeable future, however, retailers will likely still need to work with trusted logistics partners to figure out workable and cost-effective solutions to these challenges within their organizations. The “arms race” between Amazon and brick-and-mortar chains Target and Wal-Mart has continually ratcheted up over the past few years. By introducing or expanding inventive customer loyalty strategies—such as easy in-store returns at Wal-Mart or drive-up order delivery at Target— the retailers have been able to maintain their places in the market despite steep competition from Amazon. But even with those innovations, it’s challenging to compete with the overwhelming popularity of Amazon’s free two-day shipping for Prime members. As a result, Wal-Mart and Target have announced their intention to follow suit this holiday season, with each company planning to offer fast and free shipping for orders over $35. In response, Amazon recently announced plans to extend free two-day shipping to non-Prime members for an unspecified amount of time. These changes further increase the pressure on smaller online retailers, who have to find ways to meet or manage customer expectations in order to stay competitive. Finding solutions will mean enhancing the customer experience in every part of the business, including logistics management. Nobody who has worked in the logistics or transportation industry for any amount of time will be surprised by steep capacity challenges in the final few months of the year. Seasonal fluctuations in capacity are never more pronounced than during the peak holiday shopping season, with more shippers needing more shipments moved than at any other time of year. But this year, these challenges may be even more difficult to overcome than usual. Though some predictions show the market softening in shippers’ favor in early 2019, capacity has been consistently tight for all of 2018 so far, and the holiday season will only exacerbate that trend. In fact, according to FTR’s most recent Shippers Condition Index, shippers will continue to experience “excessively tight capacity” through the end of 2018. Securing capacity for the holiday season this year will require shippers to work closely with their logistics partners to make detailed plans, but also to remain flexible and adaptable when challenges arise. The ongoing capacity crunch has been a headache for supply chain managers across industries. In our ebook, The Logistics Guide to Capacity, you’ll learn about actionable strategies to help you secure more shipping capacity, optimize the capacity you already have, and more. Download your copy here.